Natural leather boots. 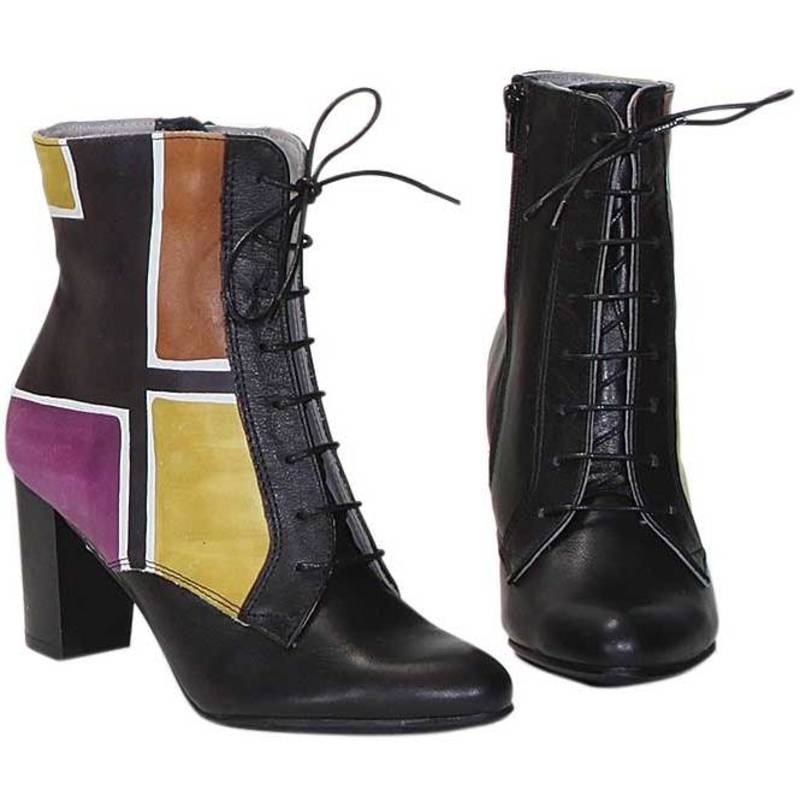 Lace-up ankle boots with upper natural leather and leather inside, microlite outsole, zip on the side. 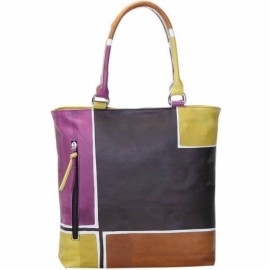 Ideal with casual clothes, perfect for free time. Match them with your Acquerello handbag! 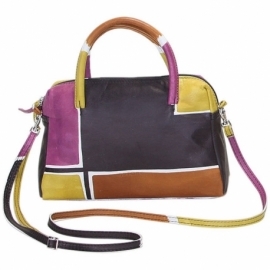 Colors violet brown yellow and black with geometrical pattern.